Yesterday was painful for this sports fan. The Packers beat the Bears and the Steelers beat the Jets. Of all the professional athletic teams in any sport, I dislike the Steelers most followed closely by the Packers. 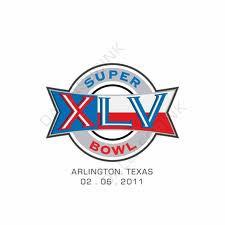 This year's Super Bowl 45 -- that'd be Super Bowl XLV if you are keeping Roman numeral count -- is on my list of not-necessary-to-watch-TV. These two teams have fans all over the place -- the so-called Packer- or Steeler-Nations. Very few of these fans are actually from eastern Pennsylvania or Wisconsin. The bulk of these fans are fair-weather fans. They got on the bandwagon because they only support teams that have winning traditions. I dislike these teams not because I do not appreciate their winning ways but because they are key rivals of the teams I like: Cleveland Browns and Minnesota Vikings. You cannot be a Browns or Vikings fan and support, in any form, the Pittsburgh Steelers or the Green Bay Packers. Over the next two weeks, we will hear all kinds of crap, aka, professional analysis, on the sports stations, in restaurants, stores, and hang-outs. They will talk about how great these teams are, their traditions, their players, and how having these two team in the Big Game is good for the sport. I will do my best to not listen to any of it. If a political talk radio host starts talking about either team for more than 10 seconds, I will be changing the station and will not return until after the Event. Over the next few years, I will run into Steeler and Packer fans in Arizona, Utah and Idaho and none of them will have a reasonable reason way they are fans of either of these two teams. Support who you wish but you better have a good reason. Good reasons are "my dad was a big fan," "our family is from the area," "I wrote a letter as a boy to the coach and he sent me an actual response." Just remember that if you are a fan of the Steelers, Packers, Cowboys, Saints, Yankees, Red Sox, Lakers, Heat, Manchester United, or Real Madrid, you are walking a thin line because there is a good chance that you are a textbook-defined bandwagon fan.